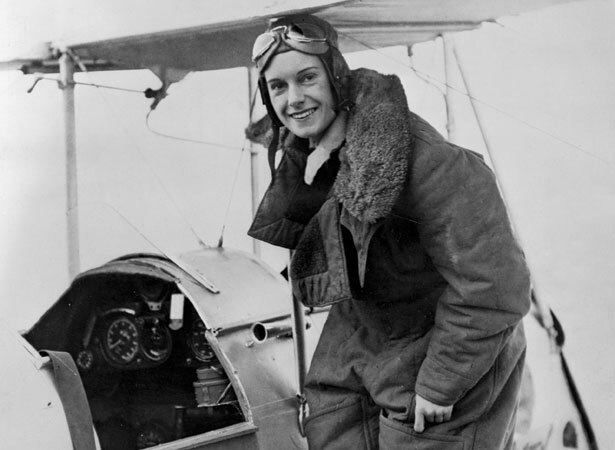 Jean Batten left for New Zealand from Kent, England, at 4.20 a.m. on 5 October 1936. Despite the early hour, a large media contingent gathered to see her off; Batten was already famous for her successful solo flights from England to Australia in May 1934, and to South America in November 1935. Batten had installed two extra petrol tanks in her Percival (Vega) Gull low-winged monoplane. But to reach Australia she still had to land and refuel at numerous locations across Europe, the Middle East and Asia. En route she slept little, flying day and night, sometimes in bad weather. She arrived in Darwin in 5 days 21 hours – more than 24 hours faster than the previous record-holder, Jimmy Broadbent. As news of the record hit front pages around the world, Batten continued on her way, arriving in Sydney on 13 October. While she took a welcome rest and waited for the weather over the Tasman to improve, some tried to dissuade her from continuing on to New Zealand. Despite the fears expressed for her safety, Batten decided to proceed. Before taking off from Richmond Aerodrome, Sydney, at approximately 6.30 a.m. (New Zealand time) on 16 October, she declared that no one should look for her if she went down at sea. Outwardly fearless, she later confessed that she almost ‘lost her nerve’ during this final leg. To her relief she finally recognised a rocky island and a few minutes later was over New Plymouth. She arrived at Auckland’s Mangere Aerodrome at about 5 p.m., 10½ hours after leaving Sydney, and was greeted by a crowd of 6000. Batten then set off to tour the country by car and train, admitting that she was weary of air travel for the time being. In fact, she was both physically and mentally exhausted by her odyssey, which had taken a total of 11 days 45 minutes. The tour was eventually called off in Christchurch and Batten spent much of November resting at Franz Josef Glacier at the government’s expense. Several months later, she made the return flight to England – her last long-distance flight. We have 15 biographies, 2 articles, related to Jean Batten reaches Auckland after epic solo flight .